Home » Muscle & Style » Building Your Dream Car: What Would You Build? Building Your Dream Car: What Would You Build? 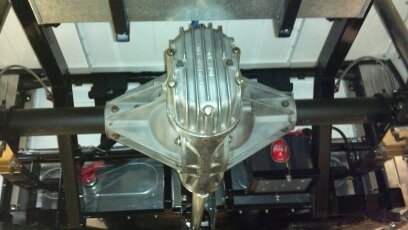 Full Blown Dirt Track Ready Race Car For The Street! A true gearhead can point to some seminal moment when he or she was struck by an unexplainable epiphany. That moment when you knew things had changed and suddenly every motorized creation became a point of interest. It was that one time when you realized you’d never again look at any vehicle of transportation, play or collectability without the quickening of your heartbeat and a shortness of breath. 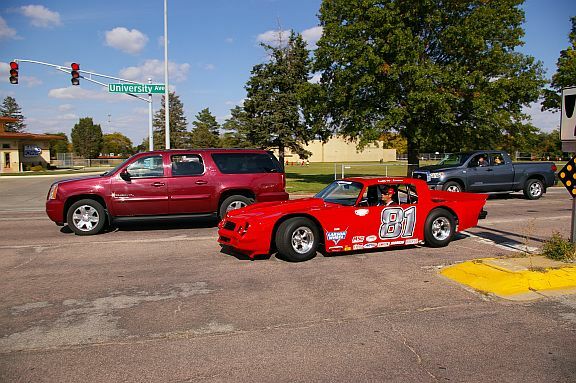 Keith Larson’s dirt track racer on the street, fully licensed and completely legal. For Iowan Keith Larson, it was a walk past a car dealer’s lot in the late 1960s where a ’64 Chevelle dirt track car resided, painted up in red, white and blue and sporting all the proverbial race car stuff…full roll cage, stinking big tires, cut out fenders. The race car didn’t make Larson want to go racing, however. 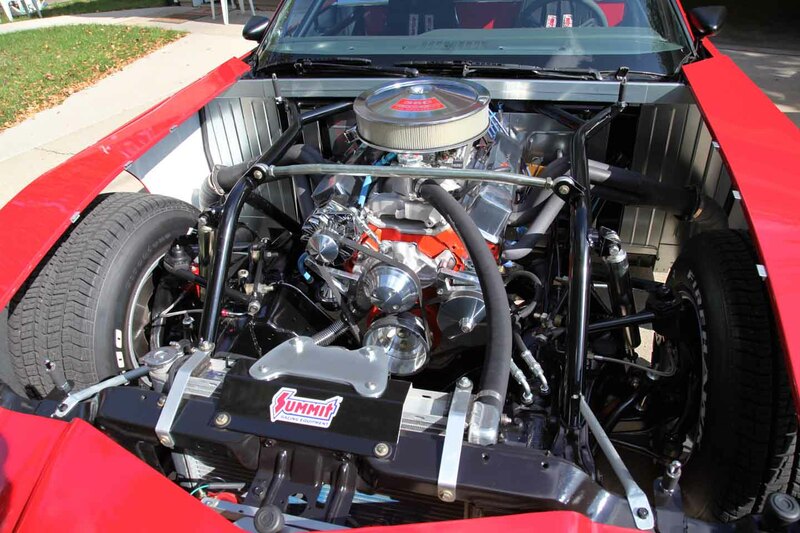 His young mind thought, “Wow, wouldn’t it be cool to drive something like that on the street?” Speed forward 44 years and Larson has his “mechanical symphony on wheels”, but it was an 18 year journey only a gearhead could understand. 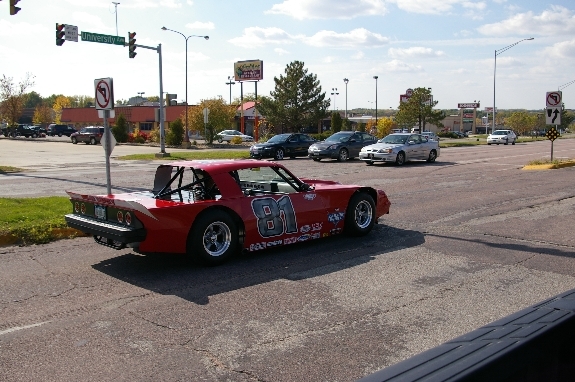 A race car on the street? Yup, it’s been done many times, but probably not with the attention to detail and the fine points Larson has invested in this one. He began the project once, ran out of space and patience and scrapped the project, except for some key components. It was in 1994 the project took hold and Larson started in earnest the quest to make this dream a reality. 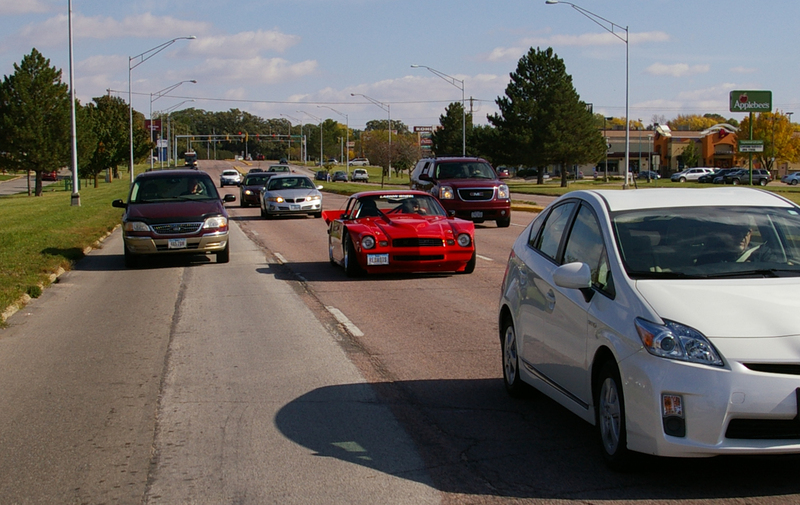 You have to wonder what the Prius driver is thinking when he sees this in his rearview! 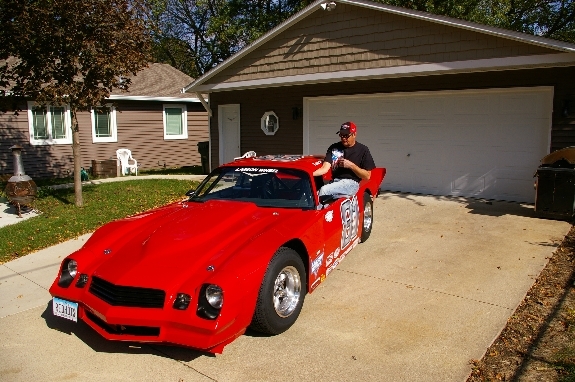 “I tried to take a retired ’77 Camaro dirt car in 1986 and convert it to street use,” he explains. 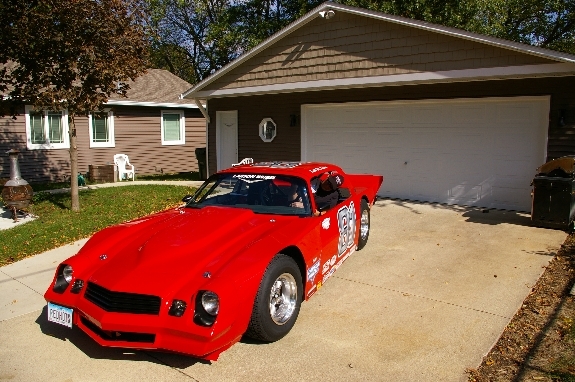 “I knew the car, found it intact in a junkyard and tried to mate a 1970 Camaro SS body to the chassis.” Larson found the task daunting at best and a family move to a different house and smaller garage pretty much killed the attempt. “I kept a lot of parts of that race car, but couldn’t quite get the job started the right way,” he says. In ’94 things changed again, this time in favor of another attempt at “the dream”. Larson bought 400 feet of steel tubing. If he couldn’t adapt a chassis, he’d just build one. Of course, he’d never built anything like this before, but that fact wasn’t going to stop the effort. 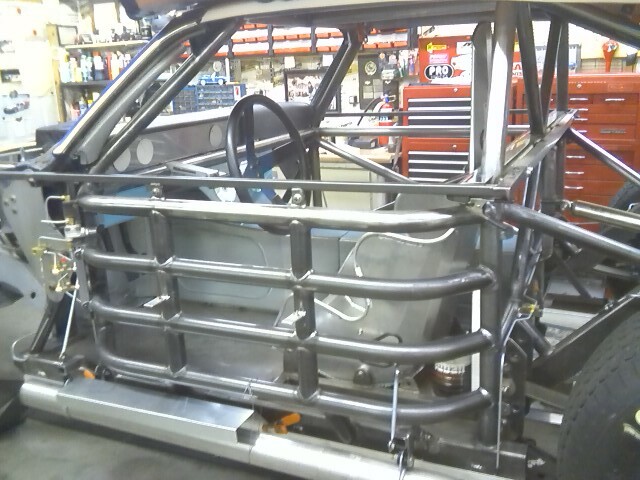 Larson built his dream car from scratch starting with 400 feet of tubing shaped into a custom cage. This is a serious build. Endless brackets, mounts and configurations followed to engineer what Larson had essentially dreamed up in his mind and on paper. “I had to figure out how to make everything work together and spent nearly 6 years working on it (the chassis), one piece at a time,” he says. When you look over the car, you can tell he literally planned every single connection, weld and bend after a lot of thought. 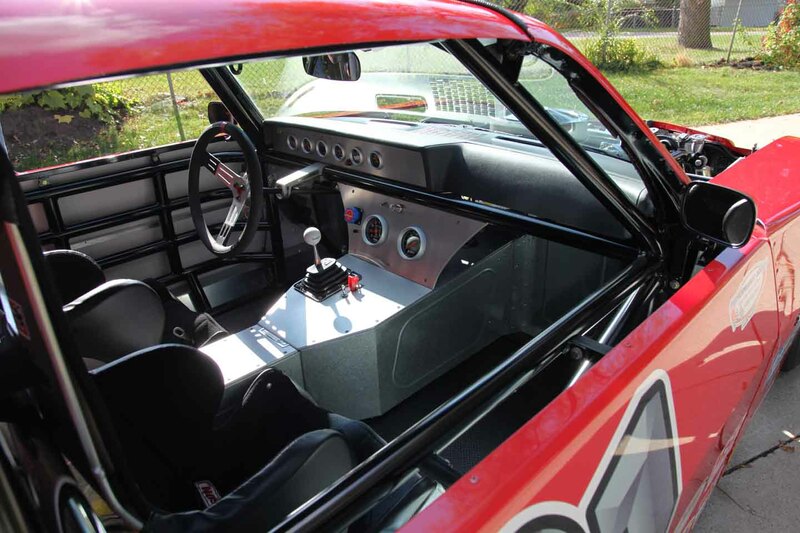 The interior has only the necessary items to monitor this street/race car’s systems. Larson has his own mechanical symphony on wheels. We don’t need no stinking sound system! Performance Bodies is a local company started in 1981 by racer Scott Braun who was a dirt tracker himself on the local scene. 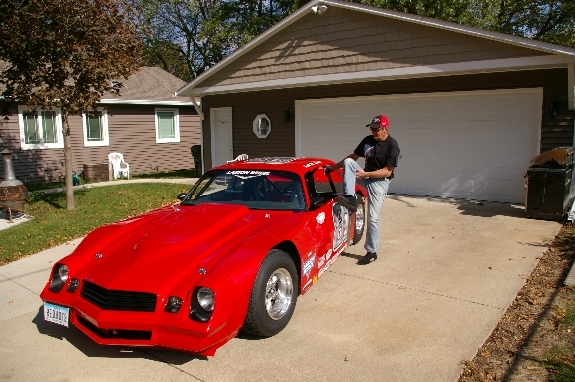 He discovered he could build, and sell, aluminum body panels to racers like himself. 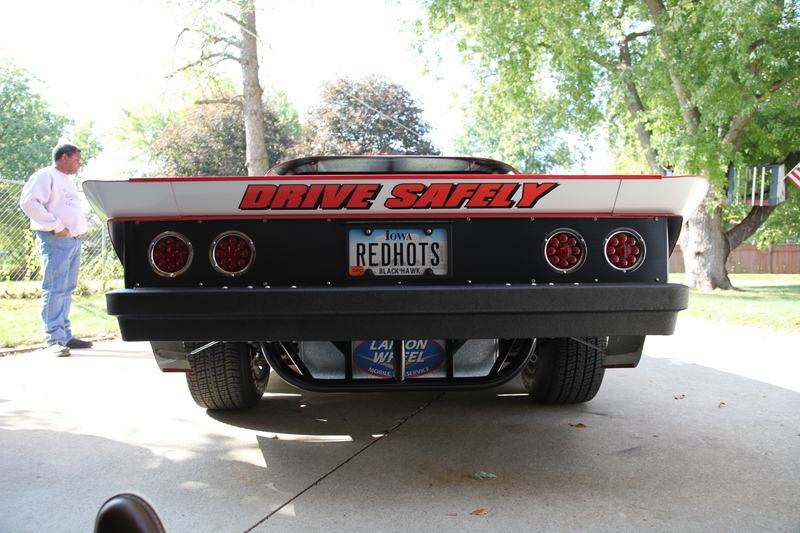 The company has grown to nationwide size, today handling all types of body parts and other components to keep racers supplied throughout both the racing and building seasons. Engine bay is all business and the Camaro has complete race car suspension including adjustable corners. Just over 400 hp Chevy easily pushes this lightweight. 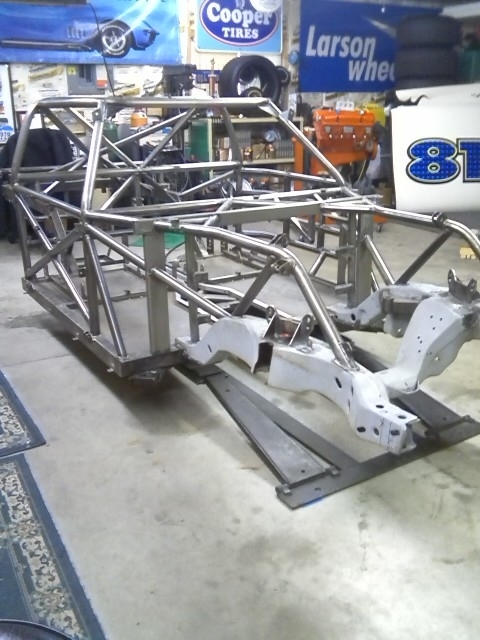 The rolling chassis was twice taken to Performance Bodies where fabricator Jeff Higgins began forming up the body. 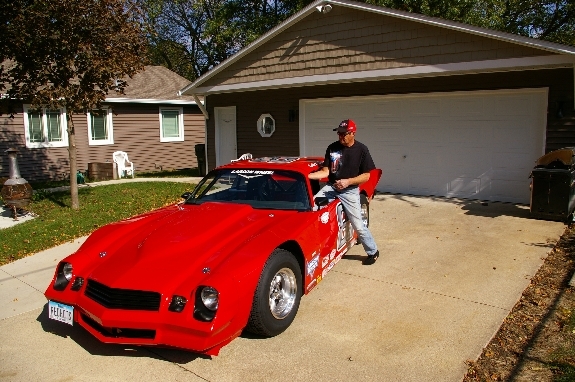 The car was delivered in both 2002 and 2008 so Higgins could mock up panels that eventually ended up in the Performance Bodies catalog so Larson’s Camaro became a prototype test bed in addition to slowly making it’s way to completion as a street driven vehicle. 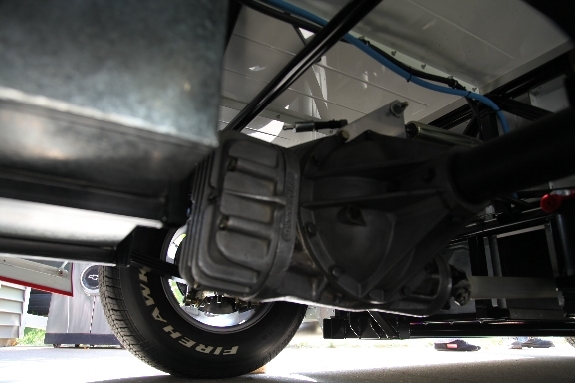 In addition to the 90 pound aluminum and fiberglass body produced to cover the chassis, the original donor car provided a myriad of pieces including the front nose which had to be channeled and set back in order to arrive at the proper dimension. The car’s windshield frame and upper dash panel (including the car’s VIN plate) were incorporated along with lights, horn, turn signals and 4-way flashers. 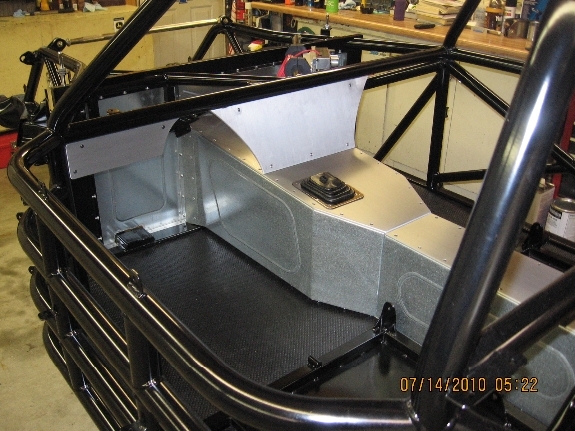 All of the fabrication inside the car came from Larson’s own hands. “My Dad was a John Deere engineer,” says Larson, “and he grew up on a farm in Kansas where there wasn’t a corner parts store where you could find what you needed. 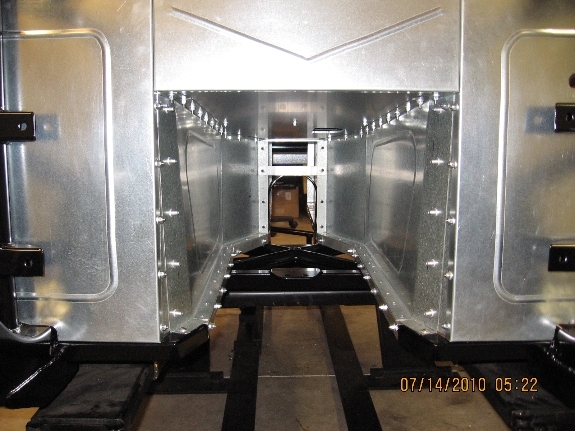 You simply learned to make it.” He obviously inherited that particular fabrication gene when he used galvanized steel for the firewall, transmission tunnel and exhaust heat shield that blocks the 3” chambered exhaust that is snaked through the door panels. Larson worked on a series of his own rides during his Navy stint as an electrician including Corvettes, a Chevelle SS and a 1959 Mercedes. “We could work on cars at the base hobby shops for 50 cents a day,” he explains. “That pretty much got me hooked into all kinds of vehicles.” Upon discharge Larson headed back to Iowa, eventually taking a job again at John Deere, retiring after 37 years as an electrician. Now he runs a custom wheel and tire service in town and drives the Camaro to local area car gatherings when he can. “I have about 200 miles on it,” he says and explains his need to test all the car’s systems before he embarks on anything that is much more than a safe towing distance from home. “I know the car is right, but it just takes a bit of time to get used to how it functions on the street.” In the meantime Larson gets to hear that “mechanical symphony” whenever he wants. Here’s hoping we get to see a lot more of it at future events and gatherings. It’s guaranteed there won’t be anything else like it when he arrives. The Ariel Atom Spec Racer: Get Your Track Day on!